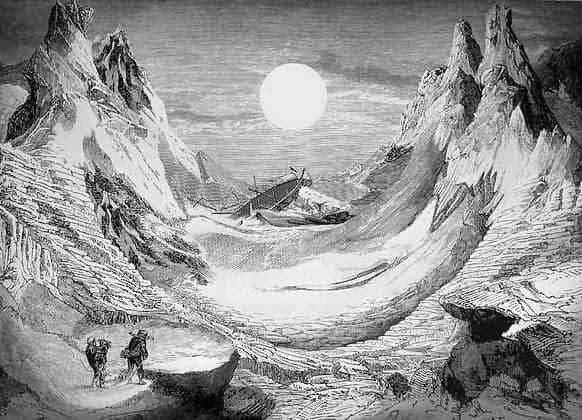 If you look at this drawing, it seems like a normal (maybe a bit old school) depiction of a shipwreck. 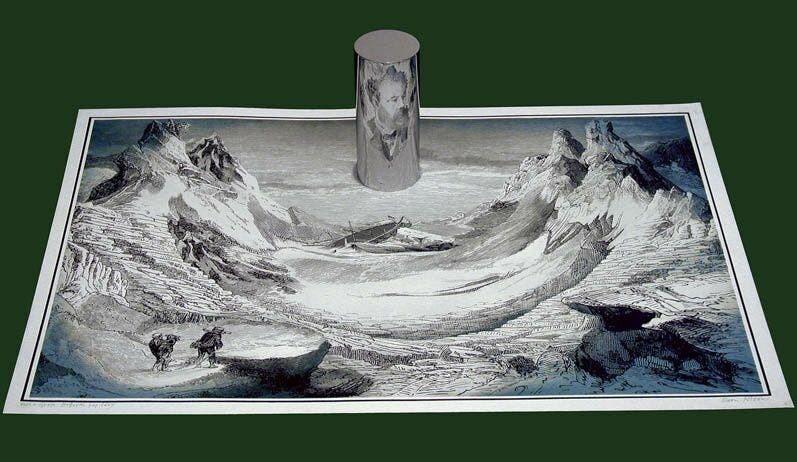 But when you put a cylindrical mirror in its center, you end up with a picture of Jules Verne. Holy mother of all techniques! I have no idea how you would do a thing like that, but it doesn’t seem like such a big deal for Istvan Orosz. 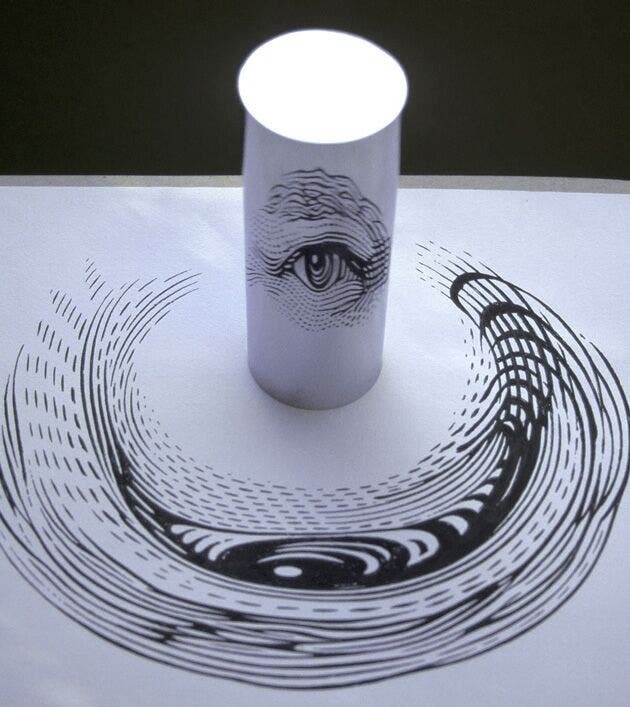 The technique is called “anamorphosis”. Generally speaking, anamorphosis is a distorted projection or perspective requiring the viewer to use special devices or to watch from a certain angle to see the full of the artistic work. Orosz has several works like this one. Here are a couple of simpler works, where it’s easier to understand how the technique works. 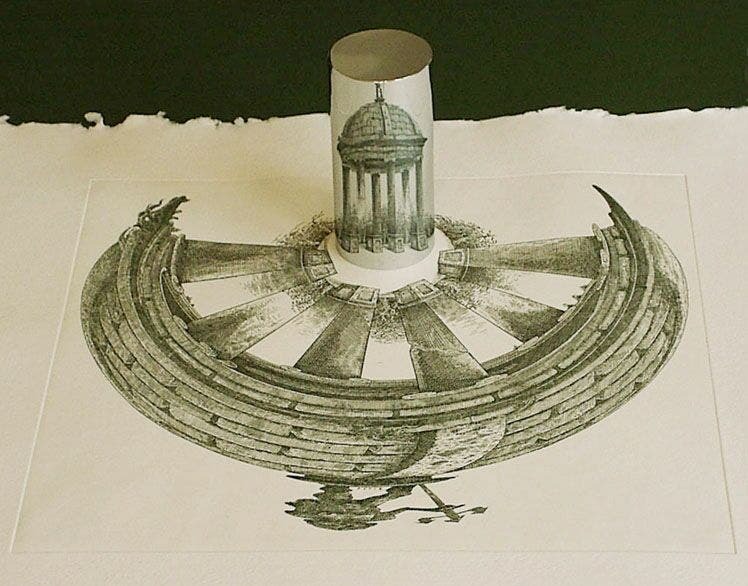 The first examples of mirror anamorphosis were first created in the late Renaissance (sixteenth century), with cylindrical mirros like this one, or conical ones. Leonardo da Vinci and Hans Holbeing the Younger (among others) like to play with anamorphosis, but not with the mirros – they played with the angles. But that’s a different story, for a different time.